About 1 million people a year worldwide are implanted with a pacemaker. Traditional pacemakers help control the right side of the heart to control the heart beat. This is called AV synchronization. A special type of pacemaker, called a biventricular pacemaker, works on both sides of the heart,. It synchronizes the right and left chambers (ventricles) of the heart and keeps them pumping together. This is called cardiac resynchronization therapy. All of today's biventricular pacemakers can also work as an implantable cardio-defibrillator (ICD). 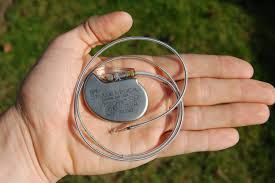 The pacemaker's battery can last about 7 to 8 years. Most home appliances, such as a microwave, do NOT interfere with a pacemaker. Medtronic Inc., St. Jude Medical Inc. and Boston Scientific Corp. are the main companies making pacemakers. After age 65, a person's chance of needing medical imaging doubles -- the same demographic group that is most likely to need an electronic implantable device. The American Heart Association recommends that persons with a pacemaker should pay close attention to their surroundings to make sure there are not any devices that may interfere. A patient with an electronic implantable device has a 50 percent to 75 percent likelihood of need an MRI over the lifetime of their device, but is advised against getting one. Approximately 60 million MRI procedures are performed worldwide each year.